The Modular/Integrated Communications Helmet (MICH) began development in 1997 as part of the Special Operations Forces Personal Equipment Advanced Requirements program at the U.S. Special Operations Command. The MICH provides the Special Operations Forces the flexibility to tailor the communications capability of the helmet to the mission using one modular system. 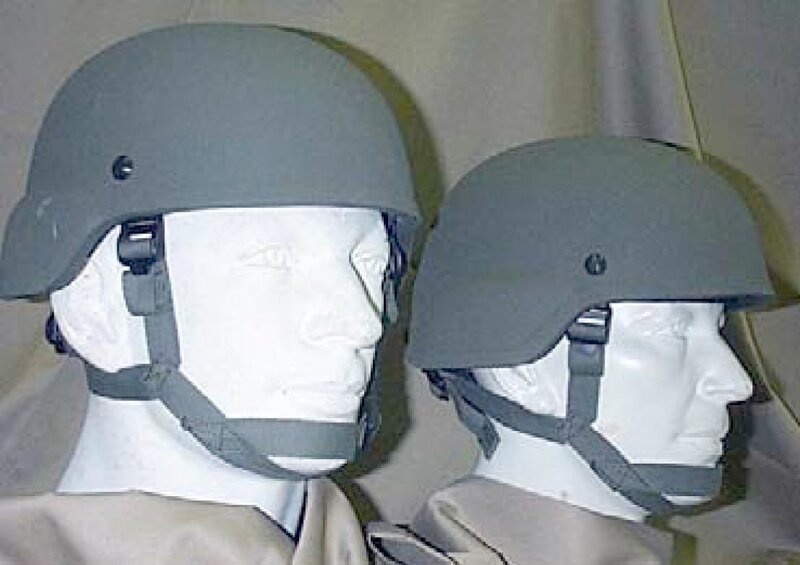 The MICH trims the edge off of the Personnel Armor System Ground Troops (PASGT) helmet fielded since the early 1980s for improved visibility, unobstructed hearing, reduced weight (less than 3 pounds without communication equipment) and easier integration with body armor. The MICH uses a different version of Kevlar combined with different bonding techniques to form a shell capable of halting a submachine gun's 9 mm round in addition to protecting against fragmentation. The PASGT helmet only protects against fragmentation and at most can deflect bullets. The MICH also increases comfort by employing a seven-pad foam suspension system. For paratroopers, the MICH four-point chinstrap keeps the helmet on and stable during jumps without a retention strap or shock pad necessary with the PASGT helmet. The communication subsystem is intended to provide aural protection and dual-channel communications capability. It offers features such as a low-profile microphone, microphone adapter for mask microphone, multiple radio and intercom adapters, and push-to-talk access. The headset may be worn alone or with the helmet. U.S. Army Soldier Systems Center, The Warrior, Nov-Dec 2000, pp. 10-11, Sep-Oct 2002, pp. 4-5.